There was a min-scandal a few years back when it turned out that a lot of grapes being grown in the Pacific Northwest as Pinot Blanc turned out to actually be Melon de Bourgogne. Nowadays, the varietal labelling can be assumed to be accurate. The Muscadet appellation is located at the western end of the Loire Valley wine area, and is centered on the town of Nantes, near the Atlantic coast. Within the appellation are three sub-appellations: Muscadet-Sèvre et Maine (whence about four in five Muscadets); Muscadet-Coteaux de la Loire; and the relatively recent (1994) Muscadet-Côtes de Grandlieu. Wines labelled simply "Muscadet" without one of those three sub-appellation tags are normally the most elementary specimens (and are forbidden by law from sur lie treatment—that is, the lees contact that defines better bottlings). Differences between Muscadet wines from those regions exist, but are typically not dramatic. Melon is considered a relatively bland and simple grape, and Muscadet was slowly sinking toward obvivion till the later twentieth century, when new techniques, such as extended lees contact (now a hallmark of better Muscadets, and the resting time has today a minimum specified by law), maceration, and even some oak aging came into play. There is today quite a spectrum of styles and quality (and price) for Muscadet wines. Muscadets made sur lie, which is most of the better ones, are normally marked by a subtle richness and greater fullness of body. Nowadays, some vintners accent that quality by stirring the wine as it rests on the lees, resulting in greater contact. Muscadet is also the only wine that, by French law, cannot exceed 12% alcohol (the only such maximum specified in their laws). Muscadet is ideally a very dry, sharp, acidic wine, thus quite "crisp", and tasting strongly of minerality much more than of fruit (some even claim to detect a subtle "salty" quality, which is considered desireable); it is typically a light-bodied wine. It is often remarked that its best and highest use is as accompaniment to seafood, notably oysters, owing to that acid crispness, but it will in fact go well with any rich dish, especially creamy ones. It is a wine normally drunk while quite young, three years from bottling being about the limit for most. A few better specimens, however, can be aged up to a decade or so, presumably with some improvement but certainly with no loss. Factoid: Melon de Bourgogne was introduced to the Pays Nantais region in the 17th century by Dutch traders looking for a sufficient source of neutral white wines that could be distilled into "brandewijn" (brandy). "Muscadet wines are often light bodied and almost always dry with very little, if any residual sugar. Left over carbon dioxide from the bottling process can leave the wines with a slight "prickly" sensation. Master of Wine Mary Ewing-Mulligan describes Muscadets as fresh and crisp, at their peak drinking ability from release up to three of years of age. Muscadet that have been aged sur lie can have very subtle "yeasty" aromas. The acidity keeps the wines light and refreshing. Some examples can have a slight 'saltiness' about them." "The truth about Muscadet is that its virtues extend well beyond oysters. Many seafood dishes would go well with Muscadet, as well as light poultry preparations and pasta dishes, too, if you are willing to break the ethnic boundaries that channel so many wine choices. Apart from food pairings, Muscadet is just plain delicious, providing you are open to what it does best. Muscadet, like Chablis and Sancerre, is not a gobs-of-fruit sort of wine. Yes, one can often sense citrus qualities in Muscadet. But more often, it is a stony, mineral sensation — felt as much as tasted — along with herbal, saline and floral aromas that characterize Muscadet. Texture, I think, is a vastly underrated quality in a wine, and texture is an essential quality of good Muscadet. It’s what impels you to take sip after sip, simply because it feels so good." "The variety has naturally high acidity, but can struggle to achieve good concentration of flavors. 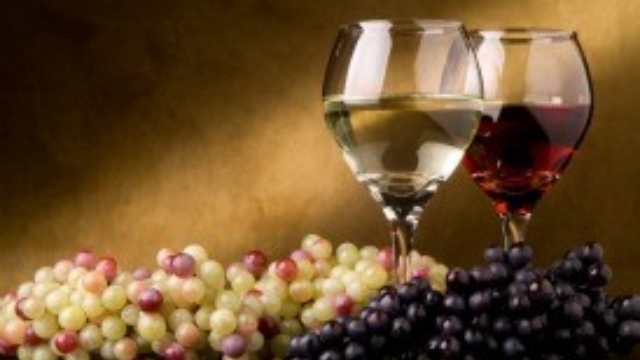 The best wines show apple and citrus flavors, with mineral characteristics. A saltiness can sometimes identified, suggestive of the region’s maritime history. . . In the winery, the fashion is to subject the best Melon de Bourgogne grapes to extended lees contact and barrel maturation. This results in wines of greater depth, texture and complexity, however it is a more expensive process than the fresh-and-ready style, and this is reflected in the wine’s price." "Widely known as the wine to have with seafood, Melon de Bourgogne has a range of styles that incorporate fruit, minerality and quiet earth aromas. The grape struggles to have concentrated flavors by its genetic makeup; however the cool climates of the western Loire allow what could otherwise be a somewhat minimalist wine to develop rich fruit flavor and ample acidity. To maximize the aroma profile many Muscadet wines are aged sur lie or on the lees (yeast remaining following fermentation) for an extended period following fermentation. This sur lie aging can increase the body of the wine resulting in a much fuller mouth feel. Fruit aromas can include tree fruit (apple, pear, peach) and occasionally elements of tropical fruits (lemons and limes). 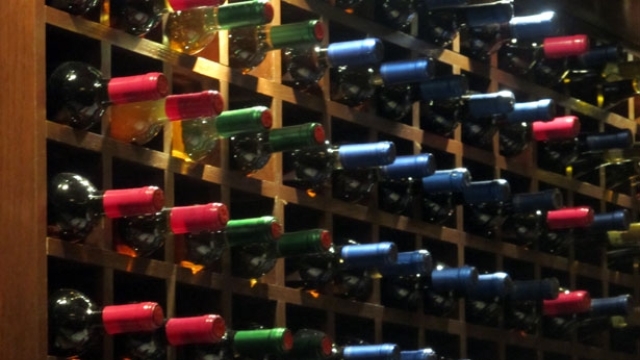 Alcohol is usually less than 12%, allowing the wine to stay in balance. Muscadet is produced to be drunk young, while the flavor profiles remain strong." "Today, this grape is a minor variety in the Golden State, with small plantings in the cooler areas of the North and Central Coast regions. In such cool, coastal conditions, Melon can make balanced table wines with good flavor. Not surprising, since this old Burgundian variety,once widely grown in that area,is most associated with an even cooler coastal region. 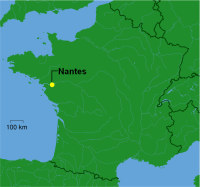 In France, Melon is mainly used to make white wines known as Muscadet from the Loire Valley's extreme western edge, known as the Nantes, which borders the Atlantic ocean. Here it makes light acidic white wines, with tart acidity, citric fruit character that often possess a salty character. The best of these come from the Muscadet de Sevre et Maine AOC, where many of the wines are aged sur lie to take on extra weight and complexity. Muscadet wines, and generally white wines made from the Melon grape are excellent food wines, pairing especially well with crustaceans and other salty seafood." "Although it was originally a rather neutral wine, Muscadet producers have refined their techniques in order to make wines with their own distinctive attributes. In particular, the wine can be designated as Muscadet Sur Lie, indicating that it has been left on the lees for the winter between fermentation in autumn and bottling in spring. This allows the wine to develop a fuller flavor and a slight carbonation that gives the wine additional freshness. For the most part, these wines are best drunk young, but in exceptional vintages certain Muscadet Sur Lie can be kept for several years and, in rare cases, decades." "The best examples of Melon are those from the appellation of Muscadet Sèvre et Maine and are labeled mise en bouteille sur lie, which means that they’re bottled directly off the lees without filtering. This process can produce flavorful wines that are soft and creamy with hints of citrus. The wine is typically steely, bone dry, light to lean in structure and body, with high acidity and an almost briny tang. “Sur lie” wines, which are unfined and unfiltered until bottling, have more body, flavor and substance." "In a typical white wine fermentation, the grapes are pressed, the juice is moved into barrels or tanks, and the wine is racked off the lees, fairly early on. ("Racking" is the name for the process of siphoning or pumping the clear wine out of the tank, leaving behind the residual glop from the yeasts; the glop is known as the "lees".) Most white wines are racked immediately after completion of fermentation, and once or twice more after about 2 months. The lees at first racking are called the "gross lees", and at second racking are called "fine lees". The finest Muscadet wines are made in a method known as Sur Lies (translates to "with lees"). This method is where there is one or no early rackings done; the wine is fermented and aged in barrels on the lees. My understanding is that in the Appellation Controlee system in France, by law, a Muscadet wine may be racked off the gross lees, but must remain on the fine lees until March 1st. The wine may be bottled after that date, and may be filtered at bottling. When making a wine with the intent of fresh and fruity flavors, not intended for long-term aging, for example a Pinot Gris or Riesling, oak barrels are not likely to be used at all. When the wood characteristics are desired, for example a Chardonnay, aging is done in new small oak barrels, typically 60 gallon size. A new oak barrel imparts oak flavors only for the first few months of use, and afterwards is refered to as "neutral oak". Such a used barrel still helps the wine to age through evaporation, thus is not truly neutral, and may add desirable characteristics. 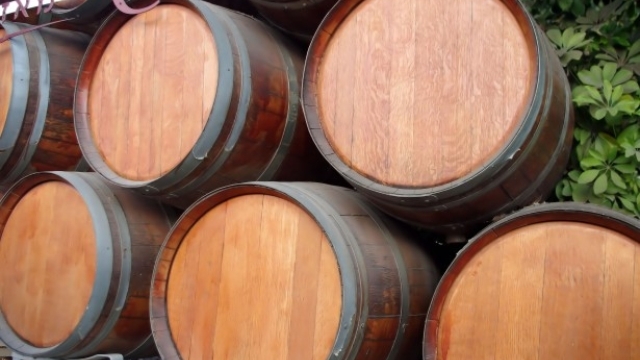 Although the classic 60 gallon oak wine barrel is still in common use for Muscadet, they are almost always used barrels as the oak characteristic is not considered desirable. There are also wonderful Muscadet wines made in the "new world" style of truly neutral storage (typically glass lined concrete or stainless steel) tanks. 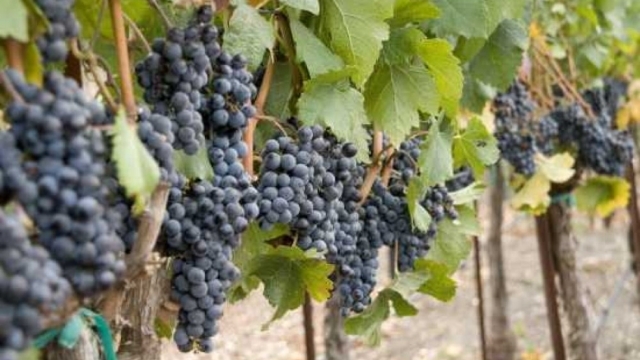 These wines are more likely to show fresh fruity and aromatic characteristics, whereas oak aged will usually be softer and somewhat more complex." "The Melon grape produces a high yield because it is quite resistant to frost, and the dry white wine it creates is fresh, uncomplicated and only lightly alcoholic (12%). A good Muscadet at once has fruity, floral and mineral tones. It pairs well with seafood and the mollusks from the Atlantic region of the Loire Valley and is perfect to drink as an aperitif on a summer evening." "Melon de Bourgogne is a relatively neutral grape, similar in that respect to Palomino. Yet winemakers discovered ways to transform the Melon into compelling wines. One of the most important techniques is sur lie aging, where the wine stays in contact with the lees after fermentation. Other techniques include oak barrel fermentation, bâtonnage (stirring the lees),and extended maceration. Muscadet is commonly light, dry, and may have a slight effervescence to them, which in the region is referred to as "pearls of youth." The flavors can include green apple, a certain yeastiness or even a touch of saltiness (like a manzanilla sherry). The classic pairing for Muscadet is oysters, though other seafoods work well too." One of the first things one notices about Muscadets is that most of the well-known makers produce quite a number of variant bottlings, often half a dozen each vintner, and often not drastically different in price within the same line; it is thus not a matter of saying get so-and-so's X-dollars bottling. The reason for those various bottlings is to capture single-vineyard terroir, so it isn't a matter of X being "better than" Y. Though there are numerous Muscadet makers, there are only three or four houses that dominate the higher-quality end of the market: Jo Landron's Domaine De La Louvetrie; Domaine de la Pépière; and Guy Bossard's Domaine de l'Écu. Each is represented in our sampler list below, plus a couple more. But each of the major houses makes many Muscadets that difffer in terroir but not much in price, so we encourage you to sample. Anyrthing from the Big Three houses just named should be more than satisfactory. To give you some idea of the different types, our sampler list is rather longer than usual. ♦ This almost clear wine with a tinge of white gold color opens with a wet stone and green pear bouquet. On the palate this wine is light bodied, balanced, and clean. The flavor profile is a mineral infused green pear. The finish is quite dry and refreshing. ♦ A perfect introduction to Muscadet, this old-vine white wine has a tingly texture, with vivid citrus flavors and a hint of earthiness. ♦ A little frizzante-action right off the bat. The nose is downright pretty, with lemon-lime soda and white flower qualities. This smells refreshing. Then the palate is everything you want a Muscadet to be - good acidity, with citrus fruit and crushed Kumamoto Oyster flavors, and rich mouthfeel. A wine that absolutely needs to be on your wish list. I'm pumped! 90 points. ♣ The always amusing French wine laws have now been changed to establish cru designations for the better Muscadets, which is in itself a good thing, but they chose to base them on commune names only and not on the distinctive terroirs that were the very reason for creating the cru designations in the first place. One source reports that "individual vignerons may continue to use terroir-related terms for individual cuvées", so the name of this wine may remain as is (whereas Domaine de la Pépière's "Granite de Clisson" is now just "Clisson"). Note also that while Guy Bossard has sold the Domaine, he is still a strongly contributing consultant to it. ♦ Pale straw in colour, and not a particularly expressive nose. Rather, it is the palate that seduces. Clean and crisp, with a fine mineral backbone. Slight chalkiness, with mollusk notes flavouring the acidity. Perhaps that’s mollusk-enticing notes. For with mussels it is a terrific match. The refreshing finish is of outstanding length, holding to a mild, but lingering aftertaste of citrus. This wine is sophisticated in its freshness and restraint, elegantly subtle, and a wine to make a regular part of your forays into the wines of the Loire. ♦ [I]t was Guy’s Muscadet “Expression de Granite” – so fresh and mineral and tingling – that won everyone’s hearts, minds and palates. ♦ Complexity is a word that is rarely invoked when describing Muscadet but it would not be misplaced with this wine; the Expression de Granite is a powerful wine with a bracing acidity and layers of flavors, though its dominant feature is minerality. Indeed, the "Granite" (a specific Muscadet soil type) more than lives up to its name. ♦ [Google-translated from French:] Very pure nose in any discretion and restraint. Notes of mango, peach and pear nose first; highly saline notes shell oysters and seaweed second nose. Attack even less beading on the vintage Orthogneiss (which is already very light), mineral notes (+ + + + +) and notes of seaweed, lemon. Mouth much less fat than the [Orthogneiss] but much more slender and air, more tense, "on the edge" without ever showing a marked acidity; bitterness on the finish that stretches .... A wine of mad righteousness, a wine that I like but is still on the reserve. Become large bottle, waiting. ♦ What sets the Bossard wines apart is they are not merely good-for-Muscadet. With the exception of the basic "Cuvée Boss'Art," which seems to be a 'what-do-we-do-with-the-leftovers' kind of wine, they all possess a chiseled grace that places them among the most enjoyable whites I tasted at the Renaissance this year. What struck me most was the aromatic focus of the vintage. All three soil-specific wines were terrific, but the "Expression de Granite" in particular had a totally captivating cologne & graham cracker nose. Say what you will about the necessity of aging these wines; they're showing wonderfully right this second. ♦ Mineral, bone-crushing linear drive. Summer and the beach and salads and oysters and drinking straight from the bottle. ♦ Current winner of the longest name wine award this year, you’ll think the name is short when you taste this wonderful wine. Still a baby, it will develop and expand for many years. A lighting bolt of a wine that in all its leanness still explodes on the palate. Concentrated mineral essence with a delicate balance. ♦ Cold, hard, saltwater drenched rock with a splash of lime. It’s right up there with Briords for my favorite of muscadets. ♦ Powdery mineral aromas (we would call it gypsum) over some attractively crisp apple-pear fruit. ♦ The Clos des Briords is a small vineyard that has the oldest vines in the domaine's possession, dating back to 1930. It yields Muscadets of uncommon complexity and depth, and the 2010 Domaine de la Pépière Muscadet Sèvre et Maine Clos des Briords Vieille Vignes is a delicious example. It serves up an inviting aroma of lemon and a whiff of kerosene (don't be deterred – it's a very appealing scent in a wine). In the mouth, the wine is zesty and refreshing, but with an underlying richness that is rare to find in a Muscadet. . . The Clos des Briords is also rare among Muscadets in that it can be cellared for a number of years and will take on even more complexity as it ages, which is the litmus test of a great wine. The challenge is having the discipline to actually do the cellaring: It is tough to hold off from uncorking the Clos des Briords. ♣ Wine Advocate (date unknown), 92 points. ♦ Ollivier's 2009 Muscadet de Sevre et Maine Sur Lie Clos des Briords is as perfumed and lusciously-fruited a wine if its genre as you are likely to encounter, though that by no means precludes depth of mineral character. Scents of pear, clover, Persian melon, and fennel inform the nose and migrate to a buoyant yet expansive, mouthwateringly juicy palate tinged with a shimmering crystalline sense of minerality characteristic for this cuvee. This sensational value finishes with an uncanny combination of soothing refreshment and vibrancy. It is apt to be even more ravishing in another year or so and be worth following for at least 3-4. Mark Ollivier Pepiere is one of the most consistently outstanding sources of Muscadet and as such a purveyor of some of the wine world-s most outstanding values, not to mention a grower constantly striving to reach new levels of excellence, as the wines at hand irrefutably demonstrate. This vigneron is on a roll! ♦ Lovely light golden color and amazing aroma of wild flowers and citrus fruit. On the palate this wine is mineral, crisp and fresh with hints of lemon, lime and aromatic violets. Light to medium in the body, it brings symphony of flavors to your palate. Perfectly balanced acidity makes it perfect match for shellfish or other seafood. Long finish makes you long for more. Thanks to a quality vines, low yields and very special vinification process, this wine can age for decade or more. And that can’t be said about every Muscadet. ♦ If there's only one Muscadet offered on a wine list, it's likely to be Domaine de la Pepiere's Clos des Briords. This old-vine cuvée from star vigneron Marc Olivier is a bright, clean, dry and citrusy wine with particularly bracing acidity. It's a great aperitif or companion to shellfish. ♦ Fresh, lots of clean seashore elements, touch of saline, pretty and clean. Very tasty. ♦ I just finished a bottle of Pepiere “Clos de Briords” Vielles Vignes 2009. The “Clos de Briords” vineyard is a single plot of pure schist. Winemaker Marc Olliver’s vines were planted in the 1930s, leading to a wine of phenomenal depth and concentration. Every time I taste this wine I am struck by its faint minty aromatics. This is not the strong spearmint often associated with new French Oak but a softer aroma, akin to a mint leaf floating in a cup of tea. This aromatic is joined by strong notes of lime and wet stones (Muscadet is known for bringing its soils into the glass). The richness of the palate does little to belie its lees aging but the finish bursts with mouthwatering acidity. Some lesser Muscadets that I have recently tasted have lacked some acidity due to the particularly warm nature of the 2009 vintage. I have no doubt that this wine has at least a decade ahead of it. Despite its obvious aging potential it is beautifully fresh now and at 16 bucks a bottle there is no reason to wait. You can buy a few and try them at your leisure over the next few years without skipping meals this week. ♦ Mustachioed Muscadet vigneron Jo Landron is widely regarded as one of the leading producers of the region, turning out consistently characterful wines such as this single-vineyard offering. Marked by notes of citrus and mineral, it's another wine that will likely age well—but is hard not to drink now. ♦ [W]e tasted back nearly ten years to a 2003 Domaine De La Louvetrie “Le Feif du Breil” Muscadet De Sevre-et-Maine Sur Lie – it was strong for a Muscadet, powerfully rich and even a touch creamy with notes of nuts and honey, brine, and flint. This was not something to use just to wash down a plate of fresh oysters – it was something to marvel at slightly and then use to wash down a plate of fresh oysters. ♦ It is a bright style white wine with subtle lemony fruit in the nose and on the palette. It presents mineral and a creamy mouth feel with excellent body. Its acid-fruit balance creates a crisp finish but also a desire to take another sip. . . The term “Sue lie” on the label means on the lees. And that means the wine rests on its sediment from 6 – 12 months. It stays in contact with the dead yeast cells left over after fermentation. Landon ferments the juice naturally in glass lined, temperature controlled tanks. Despite the melon grape’s tendency toward neutrality, this process softens the wine and gives it depth. This wine is one of subtlety and finesse. It graces you. It hints. ♦ Beautiful Muscadet fruit nose. Lemon, pear. Balanced minerality and acidity. Super smooth. Lovely wine. ♦ [It] comes from a single plot. The wine has a pronounced white flower aroma and a mouthful of ripe fruit with soft acidity. It is delicious and the polar opposite of Muscadet’s DNA of tart lemony flavor and sea salt aroma. ♦ Aromas of sea spray, lemons, salted fish and sea shell. Fresh, tangy, briny on the palate with notes of sea shell, mussel shell and crushed rocks. Saline finish. Very oceanic. 88 points. ♦ This is from a single vineyard, Le Fief du Breil, and layers of complexity are built into the wine. It still has all the varietal muscadet characters: tangy, flinty, smoky and super dry, with salty nuances. The impression of minerality makes this an intriguing, moreish drink. Fabulous. ♦ Fresh and lively with aromas and lingering flavors of flowers, minerals and apples. ♦ The Orthogneiss is almost identical in color [to the Gneiss], clear straw with just a touch more yellowish hue. Sadly, the hoped-for comparison of minerality is stymied by an offputting volatile acidity in this bottle, "dusty" and metallic high-toned aromatics that eventually blow off, mostly, to reveal a somewhat more fruit-driven wine, lemon-scented honeydew melons and currants cloaking a stony minerality that's closer to slate than chalk. Singing acidity and intriguing minerality make me want to like the wine, but lingering volatility keeps intruding. ♦ f wines were paintings, this would be a watercolour. One of the most minerally noses ever: quartz and chalk along with dried lemon. Richer and smoother than usual – surely the vintage speaking – but still subtle and nuanced, possessed of ample acidity and perfect balance. Starts off tasting of green apple- and lemon-flavoured rainwater, turns drier, quartzier and even a little bitter-herbal with a hint of paraffin lingering through the long finish. Beautiful Muscadet. The cork is long, usually a sign that a wine is ageable, and this one certainly is. ♦ This pungent Muscadet balances rich fruit with bright acidity. We smelled honeysuckle and chamomile. There's a briney minerality to this medium-bodied white, and flavors of Granny Smith apples, Anjou pears, tart lemon peel, and musky honey. czIt's puckeringly tart and would pair well with shrimp scampi or shrimp pad thai, or possibly a lemony roast chicken. ♦ I was struck by how much the wine expressed the earth in which its vines were grown. The grapes themselves seemed to act as a vehicle for communicating the wines terroir. . . I was focused on notes of minerality (imagine driving down a gravel road or falling face down in the parking lot of the pub), chalk, earth, and citrus. The group also suggested talc (perfect! ), straw, and mushroom. We agreed that this wine offered an above average length (a sure sign of quality), medium body, and medium plus intensity of flavour. This wine is drinking perfectly well now, but has the potential to develop over the next five years. ♦ Bossard's top wines always need a lot of time to open up. When drinking them young it's not a bad idea to decant them several hours before hand. I didn't do that this time, and I was surprised at the immediately beautiful and expressive nose. Absolutely clean and pure, very fresh, and vibrant with lemon, herbs like anise and mint, and stones. The palate is not as expressive, still pretty tough and rocky, and showing wafts of yeasty cellar that come and go. If there is fruit in there, or flowers or herbs, they're buried under the rock. I don't see why this wine shouldn't evolve into the complete package, but I don't have enough experience with it in other vintages to feel confident in my predictions. There is lots of energy here though, and again, the nose is just beautiful. ♦ The 2002 Orthogneiss Muscadet Sevre-et-Maine Sur Lie layers wet stone, white flowers, and some surprising spiciness in a rich wine that’s still elegant and clean. ♦ Deep gold color, with rich texture and herbal aromas. ♦ I tasted the amazing 2010 ‘Orthogneiss’ Muscadet du Sevre & Maine from Domaine de L’Ecu in the Loire Valley, which was as steely and austerely minerally as an uncompromising dry Riesling from a very cool region. . How does minerally actually taste? I describe it as a saltiness, most obvious in the aftertaste . . . and if you like dry Riesling the chances are you’ll find them at least interesting, and possibly as exciting as I did. ♦ More concentrated, more minerally, more bitter than the cuvee classique. Quite confronting on first taste, but I warmed to it very quickly. Would go well with oysters. Some development ahead of it. 90+ points. ♦ The second wine of Grand Mouton, this is made from 30-year-old vines from an extensive vineyard on the slopes above the Maine River, the soils mainly gneiss with mica, garnet and amphibolite. It's an ornate Loire pleasure in 2011: golden scents of honey, luscious flavors of white peach, pithy with extract and delicious detail. 94 points. ♦ Deliciously crisp and dry with that classic Muscadet minerality, this wine was born to pair with oysters. Fresh, bright and oh so easy to drink! ♦ A ripe, creamy wine, certainly with good acidity, but also with rounded fruits. The wine has green apple flavors, followed by yeastiness and a final flourish of almonds. 87 points. ♦ [Google-translated from French:] Dress: almost transparent white with slightly green reflections. Nose: more fragrant than the Jean-François de Grand Mouton tasted during the same meal, but a little less complex on aromas of lemon, rifle stones, vegetable. Mouth: a fresh and vegetable attack on beautiful lemony aromas that take up all the mouth. Notice: very good on oysters - this is the wine it takes to have fun, without taking a head. ♦ A favorite among the line-up of wines was a 2011 Louis Metaireau Petit Mouton Muscadet Sevre et Maine ($12). The bottle's label says "sur lie," which refers to wine kept on the lees (spent yeast) all winter long before bottling in the spring. Overwintering on the lees produces rounded, saline aromas and the barest hint of spritz. As trick-or-treaters emptied the candy basket, we pledged not to forgo the pleasure of this pairing once Muscadet Month is over. ♦ [M]usky character typical of old vines grown on siliceous rock and pairs beautifully with starters. ♦ A pretty quaff with mineral, pear, and white floral aromas and a balanced, attractive palate that finishes with a zip of saline. ♦ Muscadet has gained prestige in recent years, as demonstrated by the new category of Muscadets de haute expression originating from specific terroirs. Marc Ollivier’s offering, from a parcel in the highly regarded vineyard of Les Gras Moutons, is subtle and complex, with aromas of lemony fruit, minerals, yeast, and fresh-cut hay. On the palate, the wine is crisp and refreshing, making it a perfect foil for food now, but it has an underlying concentration that promises the ability to age for some time to come. ♦ “Crisp, stony, briny, and spiny” are the words used to describe this wine which hails from the Muscadet region in the Loire. 100% Melon de Bourgogne (the grape varietal found in Muscadet wines,) this wine has amazing length and versatility. ♦ He said: Served chilled. Crystal clear, pale oat straw color. Fairly strong citrus fruit aromas. Delicious lemon taste with lots of mineral and a unique crispness that continues right through the medium-long finish. The very end of the finish has just a slight upturn of tartness that I found absolutely delicious. The depth and rich taste of this wine made every sip get better and better. It’s both a surprise and a treat…it was so refreshing on a warm afternoon on the patio in sunny-southern-California. I loved it…a two thumbs up Loire Valley wine I recommend as a “Quality Wine at a Bargain Price. Definitely a wine I would buy by the case!!! She said: With the first taste I thought this was a delicious Sauvignon Blanc with plenty of flavor and body. Another sip brought the crispness, acidity and unique flavor into focus. Coupled with a creamy white cheddar the wine was absolutely delicious. At $14.00 it was an EXCELLENT buy. ♦ I was a big fan of the 2010. No let down here . Citrus fruit and attractive floral notes, soft minerality, playful balanced acidity. Quite good and one I’ll look for. ♦ This selection grows in a lieu-dit where the soils are based on gneiss, lending a different perspective on Muscadet. Carson Demmond commented that the minerality of the wine gave it a cavernous feel, as if wandering through a cave of stalactites flecked with minerals. What fruit character there is balances that chipped stone feel with lemon-lime fatness. ♦ Bracing bouquet like a sea breeze and palate like mountain spring water flavoured with some lively green fruit and suffused with grainy minerals, lively acidity and hints of salt on the finish. I was expecting even crisper acidity but this may be a function of vintage. It called out for oysters and perhaps a little more body and flesh was needed to be ideal with cod in a quite acidic sauce; 16/20++. ♦ This is a tight, mineral single-vineyard wine coming from layered granite soil. Produced from organic grapes, it is crisp, tangy with lemon zest and light spice flavors and a strongly aromatic aftertaste. 90 points, a Best Buy. ♦ [This wine] is a mellower, subtler cross between a Sauvignon Blanc and Pinot Grigio. Packed with more complexity and richness than you could ever expect at this price, this is pulp Ernest Hemingway. It’s more or less a table wine—nothing pretentious at all on the surface, and its story is told in plain-spoken fashion. However, when you add the sum of its parts—a richness of emotion just beneath the surface but never too deep, an obvious machismo and steely detachment, a certain understated nobility—you just might ask For Whom The Bell Tolls. ♦ He said: Chilled before drinking. Clear, light wheat straw color. Lots of citrus, cantaloupe melon and grass aromas with a touch of floral. Clean, fresh, smooth & refreshing with plenty of chalky mineral, citrus and peach flavors all the way through the long salty finish. Good paired with the garden salad, but superb drinking alone after the dinner too. A lively Muscadet that’s a GREAT buy…two thumbs up from me!!! She said: Medium yellow color, clear, lots of well moving legs. Pleasing light floral aroma lead to a mouth-feel that was somewhat chalky or creamy while continuing the delicious aroma. The long finish continued the flavors and ended with a unique and pleasant dusty taste. I was not as taken by the wine with the salad, but thought it was simply delicious as a sipping wine. A very good buy at $13, and a good choice for a casual snack or week-night dinner. ♦ "Soft" and grassy Nose. Light to medium-light bodied on the palate. Spicy --- rye bread/caraway seeds spiciness; medium+ acidity; not as good as the 2015 Pepiere (regular) that was had alongside. Gut impression score: 87 – 88. ♦ This seemed to be everywhere. Lots of local restaurants, wine shops, heck..even the Grande Epicierie and Cave Auge in Paris. Had a bottle the day before the visit with oysters at La Cigale in Nantes. Smooth expressive minerality with just a suggestion of licorice. A touch of mild iodine. Great citrus flavor. Excellent length. Way better than its $15. ♦ This intensely crisp wine is a glass of grapefruit juice, just pricked with apples. It is so fresh, tight, a delicious shellfish wine (think oysters with a shot of lemon). 87 points. ♦ I find this wine inevitably drinkable in all situations. . Amphibolite Nature is all green mango and dusty stones above a tart drink of sun, allegedly the expression of near-coastal France. So why is it a drink conjures the purple clouds on the horizon of Lake St. Clair after an evening of trolling for walleye, a languid stroll through the summer orchard, every thing green, soft curls of water caressing a sandy shore? Yes, it is good with clams and broth. It is perhaps at its finest while reading poetry by candlelight on the front porch, marveling at the sadness of a train’s whistle. I fear this wine has rooted itself into my being and my being will not be satisfied until the very last bottle is dry. How does this happen? ♦ [It] was one of the wines that didn't resonate as much with our tasters (and at $17 a pop, this was our most expensive option). The flavors were more delicate, and some tasters though it lacked structure. However, what was interesting about this juice was the texture—the effervescence came off as tiny little bubbles tickling the tongue. One taster even commented it tasted "quite like Champagne." ♦ The Amphibolite Nature is Landron’s entry level cuvée and is was named for the amphibole, a local metamorphic green stone prevalent in the soil it was grown in. Pale yellow in colour, aromas of apple, melon and sea salt minerals swirled about in my glass. Fermented in glass-lined cement vats, crisp granny smith apple and clean herbaceous elements flourished and were supported by a bright acidity in the light body. Sea salt minerals, stone notes and traces of zesty citrus composed the short, yet vivid finish. Clean and refreshing, this is a fantastic, easy drinking glass for the patio, dinner table or anywhere on a sultry summer’s day. ♦ Totally dry, lean and fruity – slightly citrusy – with the mineral notes well in the background. Excellent aperitif wine and good accompaniment to light hors d’oeuvres and appetizers. ♦ The 2010 Domaine de la Pepiere billows with classic muscadet aromas of sea salt, lemon, lime and thyme. The initial palate impression is a bowl of ripe passion fruit, but that develops an added layer of pear, which, in kaleidoscope fashion, expands into a lime-flavored finish. Muscadet is rarely this complex. And this is only Olivier’s entry level wine! ♦ This unfiltered crisp white wine has extra flavor and body, reflecting the extended lees contact, hand harvesting, and natural yeast fermentation. Round and supple, with lemon, grapefruit, orange peel, white peach, and a mineral pop, the wine has complexity, depth, and a long finish, delicious when young but can age up to a decade, unusual for a Muscadet. ♦ The classic white bottling of Ollivier remains a benchmark for Muscadet. The ripeness on the nose shows off like salted apricots, with lavender, hay, citrus and a soapstone mineral quality. Ripe, focused and absolutely packed with mineral fulfillment. ♦ Hugely enjoyable subtle fruit-filled dry white with green apples and pears. ♦ Smooth, lemon/minerals, simple, enjoyable. ♦ Deep in color, this is a round and supple Muscadet with honeyed scents of orange and mineral salts. It grows more complete with air, as flavors of lotus root and pale white fruit fill out the finish, sustained by the wine’s acidity. ♦ The 2009 Domaine de la Pépière is the latest vintage of my go-to label, made by brilliant winemaker Marc Ollivier. Its tangy, slightly salty taste recalls the briny, savory scents of the nearby Atlantic Ocean. There seem no Muscadets any better than the better ones in the list above, so there's really no "splurge-level" Melon-based wine.